One of my dreams in life is to own a cabin on a lake where the serenity is overwhelming. 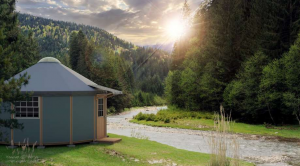 A small place of your own, tucked away in a cozy spot in the woods, or maybe just a backyard retreat where you can have your own space away from everyone else and a couple steps up from glamping. Problem is, I have to live near my work and I definitely cannot afford two mortgages! 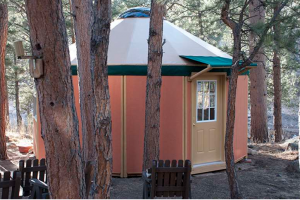 Yurt Cabins has made my dream a possible reality. It is amazing to me what can be done with a tent these days. You can run electric and plumbing, you don’t even need a foundation. 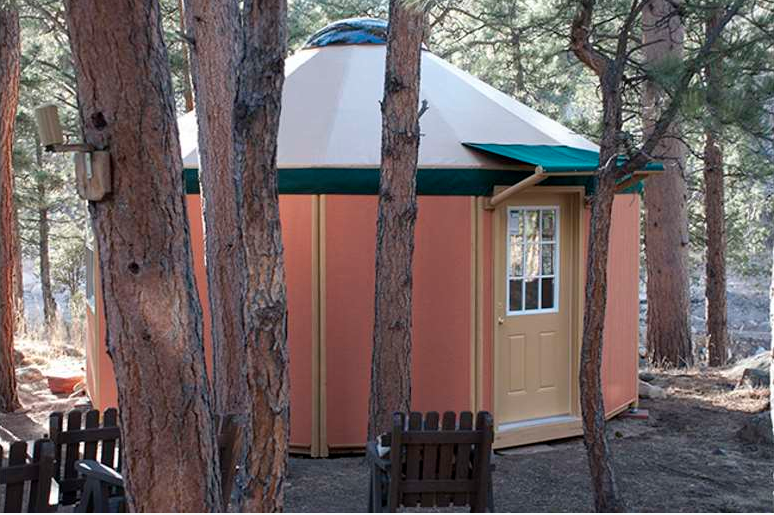 Usually, Yurt Cabins have fabric on the interior walls, how the heck would you clean them? But the Freedom Yurt Cabins have designed their cabins with solid walls, an integrated flooring system and much more. Now, this is glorified glamping amplified. Not sure how well these would hold up during extremely bad weather I guess you could always take it down and put back up after the storm passes. So if you think you can’t afford that little cabin in the woods, think again!